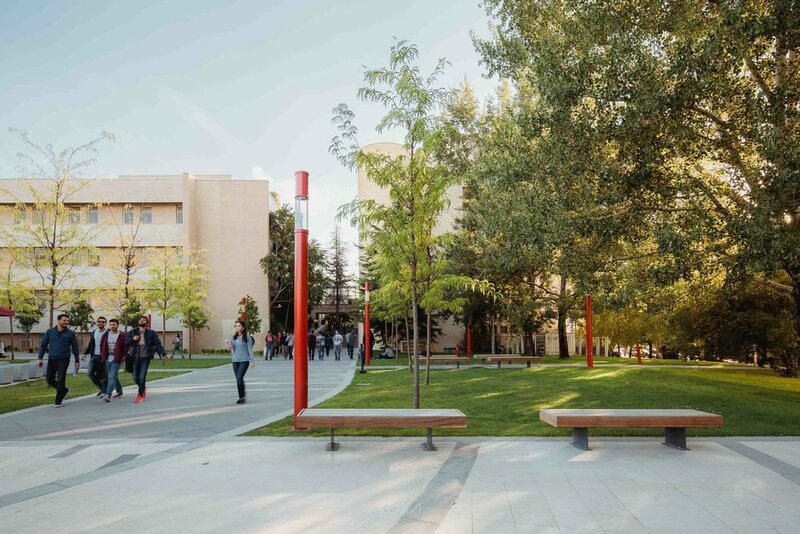 Numerous city agencies, universities, and international private schools have reached out to MKM to master plan and design their campuses and facilities. We create play and educational environments that reinforce learned analytical skills and engage and challenge students socially and physically. Our educational design approach is based on the belief that through iterative, vigorous, and tactile exploration, children perform better academically and retain knowledge for life. 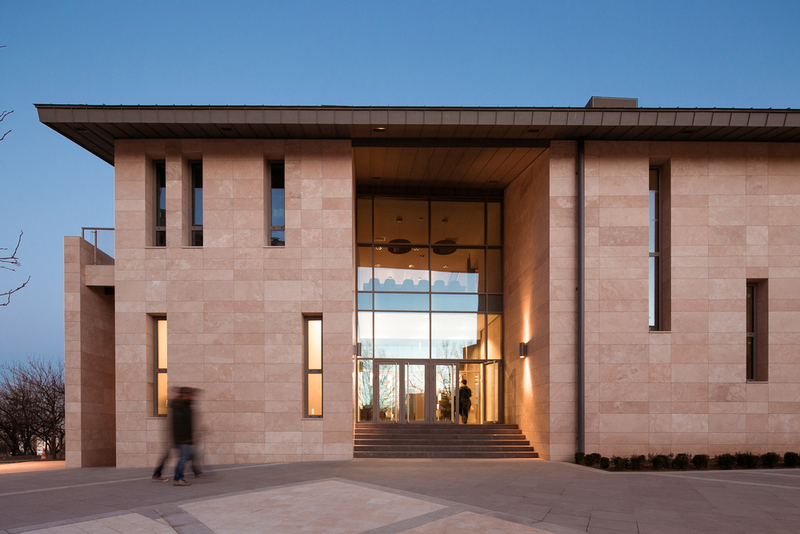 MKM is part of Skidmore, Owings & Merrill’s team for a new net-zero energy primary school in Staten Island. 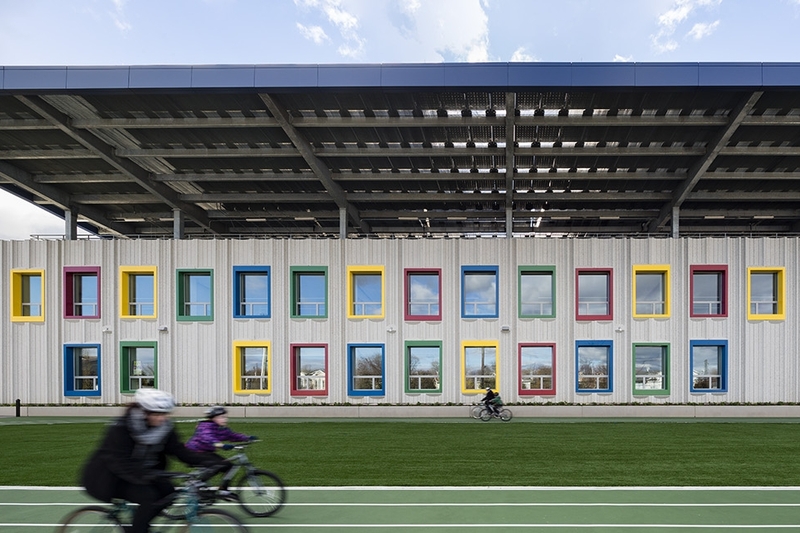 The project is designed to be the first net-zero-energy school in New York City and won the AIA NY 2016 Committee on the Environment (COTE) award. The landscape architectural components of the project follow the NYC Green Schools Guide and include a bio-retention area with amphitheater serving as an outdoor classroom, a large rooftop garden area for cultivating fruits, vegetables and herbs, green roofs to reduce runoff volumes, greenhouse for biology and plant ecology, permeable unit pavers to further reduce stormwater discharge on site, and extensive use of native plant material to promote habitat value. Surrounding planting beds provide bio retantion. Permeable unit pavers for the parking lot, roadways, sidewalks, paths and plazas to allow for stormwater infiltration. 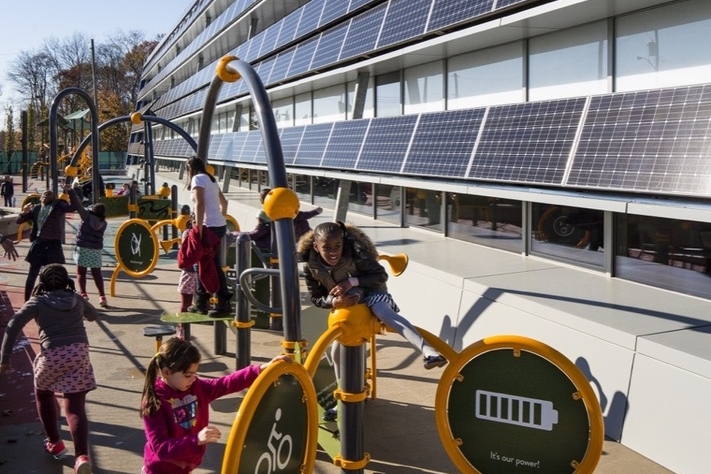 Early Childhood Development Playground replete with GeneRacer bicycles which will allow children to produce energy and provide interactive activities designed within the play equipment components. 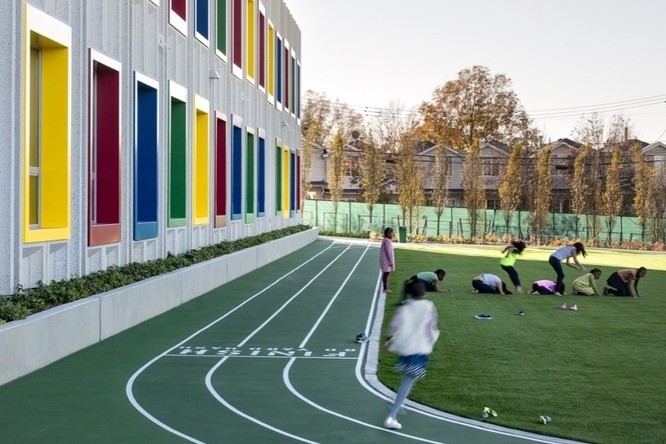 Geothermal wells beneath athletic field help to naturally heat and cool the school, and allows for significant energy savings. 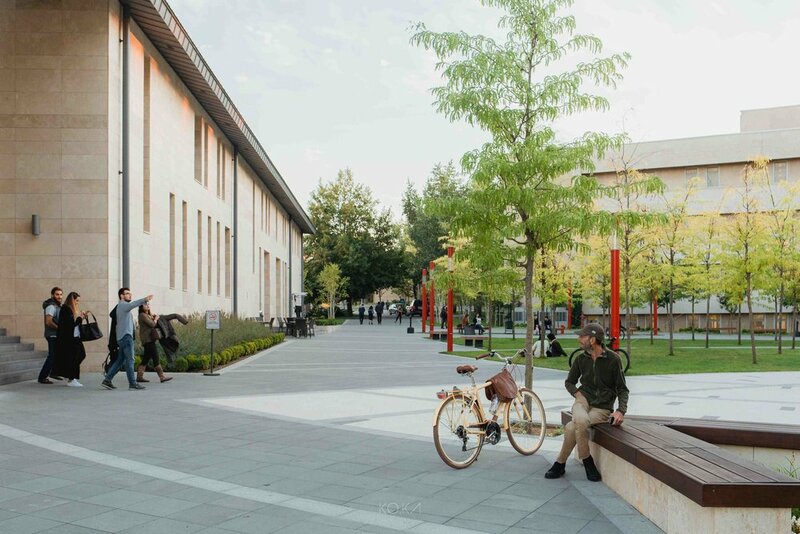 The Bilkent Ezurum school, in east central Turkey, was developed as a magnet school for the region’s brightest students and prepares them for entrance into the world’s top universities. 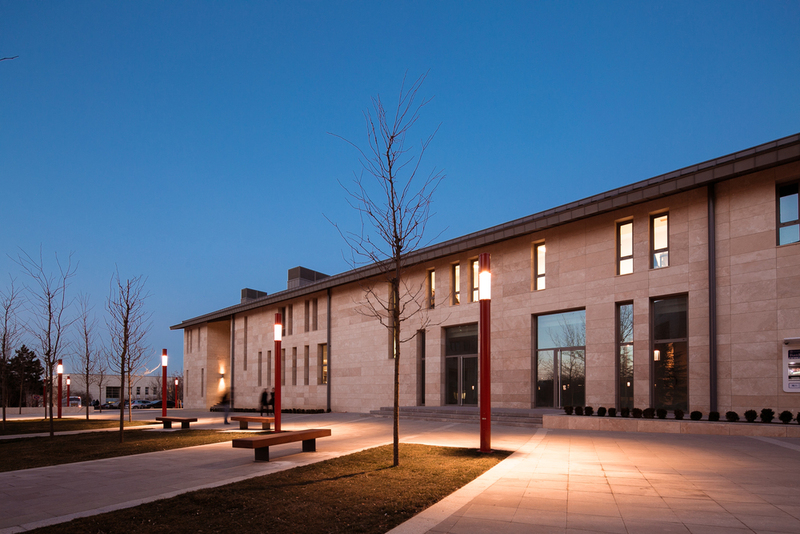 Recognizing MKM’s experience and skill, school directors and FXFowle Architects reached out to MKM to incorporate sweeping changes to the landscape design and infrastructure. 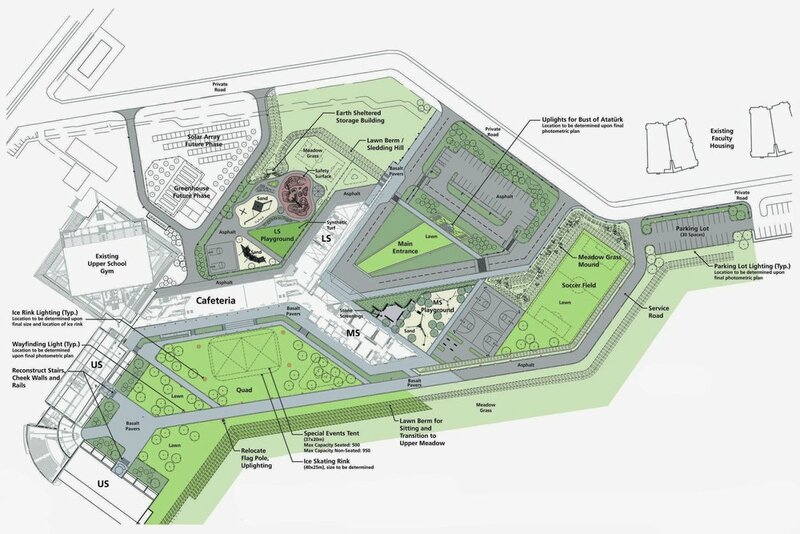 Plans include both lower and upper school play areas, an orchard, greenhouse, and farming areas, an equestrian facility, athletic facilities and fields, and basic infrastructure such as parking and snow removal areas. 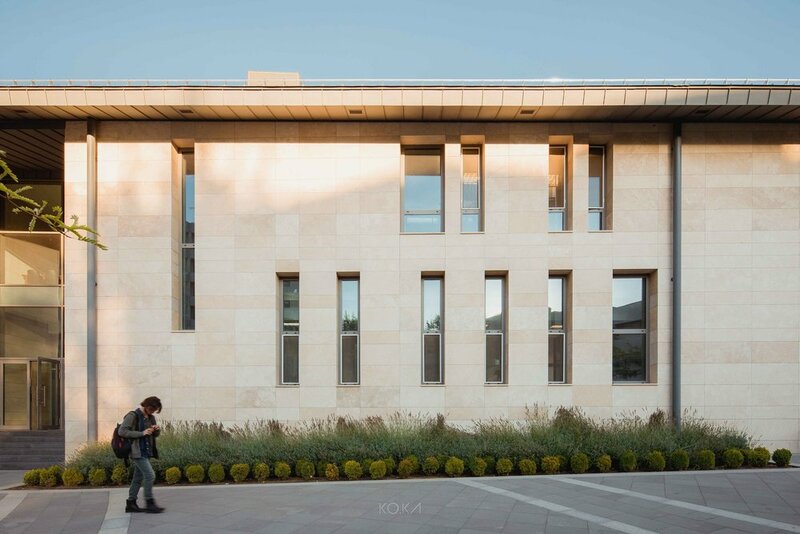 As a continuing partnership with Bilkent University, Mark K. Morrison Landscape Architecture was commissioned for a plaza design connecting the newly constructed Marmara Dining Hall to the Rector’s Building and the Kutuphane Library. 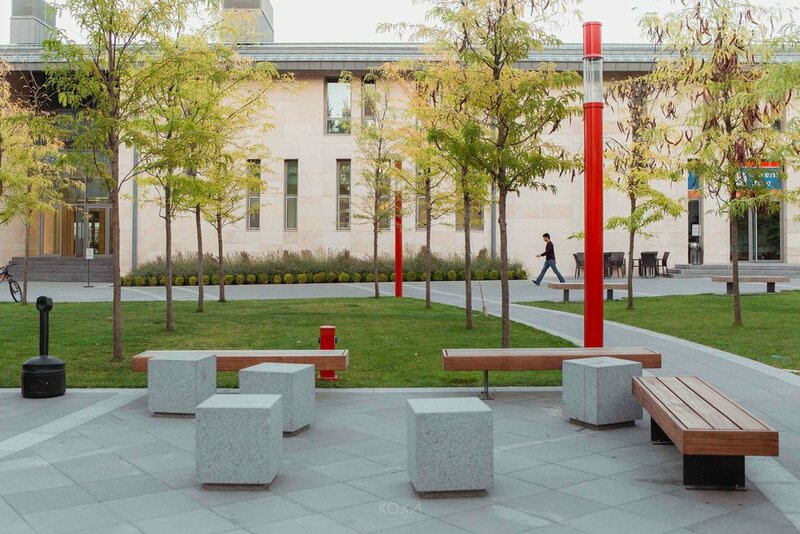 Previously dominated by parking, the design recaptures the space for connectivity and events for the University. The final design was also inspired by the geometry of the tulip, which is native to Turkey.